Danilo Pérez. Photo by Luke Severn. The Boston debut of Danilo Pérez’s “Panama 500” project was a bedeviled affair, but ultimately sublime. Originally scheduled for four shows over Saturday and Sunday, it was reduced to two, thanks in part to bad weather. So the 7 p.m. Sunday show was sold out, with a waiting list, including, evidently, a few Valentine’s Day dates who seemed bewildered by what they were seeing (“I think that’s an alto saxophone,” said a gentleman at our table). There were some walkouts. Pérez frontloaded the show with a previously unannounced 30-minute performance by an octet of students from the Berklee Global Jazz Institute, which he has created while teaching at the school. And then Davíd Carrasco, a professor of Latin American studies from the Harvard Divinity School, talked about Pérez and essentially read his impressionistic liner notes from Panama 500. Liner notes are generally better left on the page. Panama 500 is arguably the distinguished 47-year-old pianist and composer’s finest achievement. Over the years, audiences have come to know him mostly as the leader of a superb trio and as a member of the Wayne Shorter Quartet. But he has written large-scale works such as Panama Suite for big band. As for Panama 500, it’s not necessarily the size of the orchestration (there are usually not more than eight or nine players on a given track), but the conception that makes the piece large. A kind of historical portrait of Panama, from Balboa’s “discovery” of the Pacific Ocean up through the present, it incorporates folkloric percussion and recitation by the indigenous Guna people as well as passages for solo piano and piano trio. At times, Pérez layers various languages — dissonant modern chamber music (with parts for violin and cello) on top of ancient percussion. At the Scullers, Pérez was with his longtime trio mates, bassist Ben Street and drummer Adam Cruz, as well as violinist Alex Hargreaves (a former Berklee Global Institute student) and Cuban percussionist Roman Díaz. The first section of the set was episodic, alternating piano interludes with attractive fiddles tunes, all driven by a variety of grooves as well as mixed-meter passages from the rhythm section. But the musical narrative didn’t feel as clearly delineated as on the album. On the other hand, Hargreaves is a real find — he tossed off some impressive virtuoso flourishes throughout the night, but he was most impressive in his thoughtful deliberation, his responses to Pérez’s piano, his odd double-stopped dissonances, his simultaneous grasp of folk-song form and jazz harmony. With his instrument, he linked ancient and modern. And you sensed him listening and creating every step of the way. The set truly lifted off following a trio performance of Pérez’s ballad tempo piece from the album, “Gratitude.” That’s when Pérez went into a kind of free fantasia on themes from Thelonious Monk that more or less settled into the skittering lines of “Think of One.” This turned into towering trio performance in an odd-metered groove, with Pérez’s left hand shouting the rhythm and harmony as Street’s bass danced around it in odd, free patterns. Cruz meanwhile held the groove while layering it with further detail. Somehow, in the midst of all this freedom, the trio kept falling into cadences together. The music reached a climax that brought down the house. From there things loosened up. Díaz’s deep, elemental rhythms and rich tonal colors were a tonic, especially when, accompanying his own half-sung recitation, he locked into a clave laid down by Cruz and Pérez on rhythm sticks. In cap, shades, goatee, and broad smile, Díaz was a charismatic presence, and soon Pérez had the room singing along with him. By this point, Pérez’s wife, the alto saxophonist Patricia Zarate had joined the band, and she too achieved a peak, riffing on the band’s grooves and bringing the crowd to set-closing cheers. 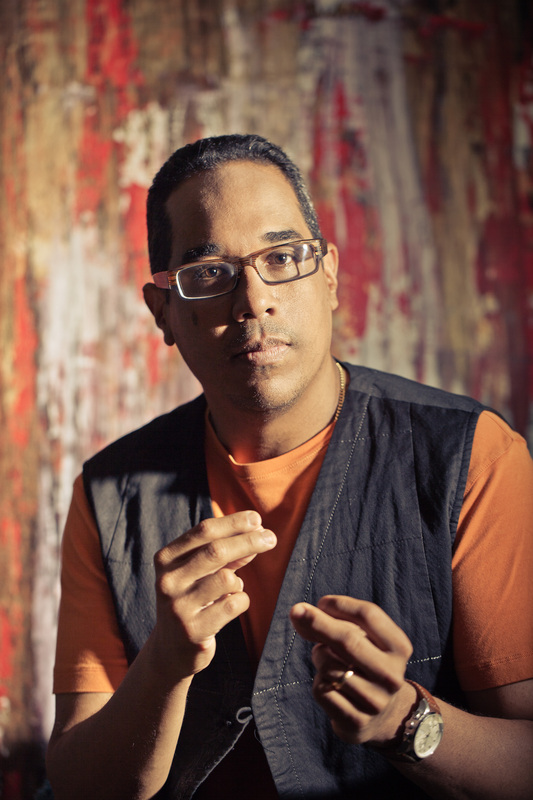 Between songs, Pérez spoke about his excitement for the musical culture in Boston and talked about having lived here for 28 years, traveling between Boston and Panama. When he said, “I’m so proud of this city,” someone in the audience responded, “We’re proud too.” It was hard not to hear it as a moment of unspoken allusion to the Marathon bombings. The “too-muchness” of the show was of a piece with Pérez’s generosity. When the world is a mess, why should good will be tidy? This entry was posted in Uncategorized on February 17, 2014 by jongarelick. 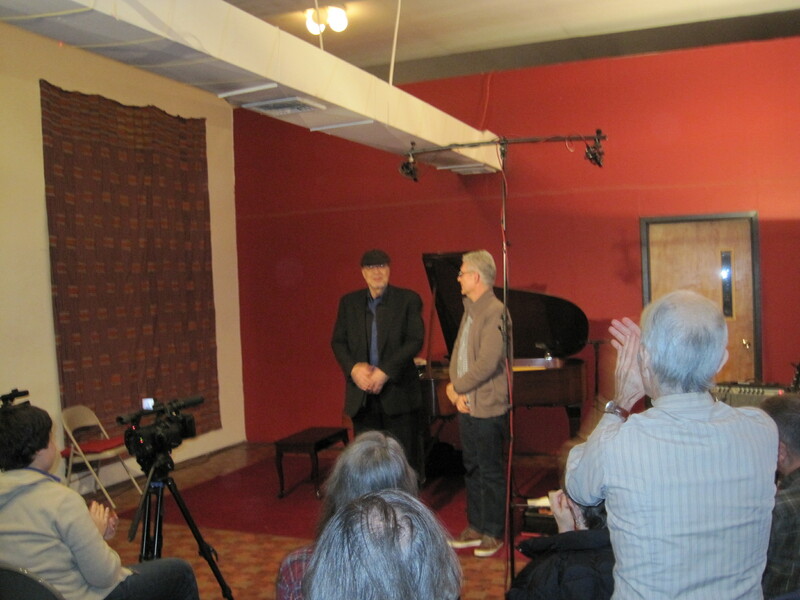 Dave Burrell and Garrison Fewell at Third Life Studio. The event was called “Outside Music, Inside Voices,” after Fewell’s in-progress book project of that name, sub-titled: “Dialogues on Improvisations, Spirituality and Creative Music.” Burrell is one of 25 interview subjects in the book, and the evening was a mix of music and conversation. Though they had talked, Burrell and Fewell had never played together before. Their rehearsal consisted of pre-show conversations and a brief soundcheck. Burrell came up during the first wave of free jazz (he graduated from Berklee in 1965) and he told us that his indoctrination into the scene included marathon sessions in his Lower East Side New York apartment with the legendary drummer Sunny Murray (fresh from Cecil Taylor’s band) that left his finger’s bleeding. Fewell came up a generation later at Berklee, and although he had long listened to free music, he was for much of his career an “inside” player. Until, he said, in 2002, he announced to his friend and editor, Ed Hazell, “I’m coming out.” He didn’t mean it in the Gary Burton way. Hazell told Fewell then that there are a lot of ways to play outside. Fewell’s way was lyrical and melodic, and his albums since that time have always framed free improvisations with various organiztional strategies. One Fewell project is called “Variable Density,” and the compositions, as such, move through different predetermined episodes of ensemble textures, with the specific notes, rhythms, and harmonies left up to the individual players. At the Third Life Studio, the duo began with a minor blues by Burrell called “The Box.” “We’ll pour our all of our emotions in to this minor blues,” Burrell said. It was a lovely blues, grounded by Burrell’s left-hand stride patterns, embellished by melodic flights from both players, and some lucid counterpoint. Other pieces were less grounded in form — simply the spontaneous sonic response of one player to the other. His one solo piece, “Paradox of Freedom” (based on his research into the freed slaves enlisted to fight in the Civil War) was the most thunderous. But it too was based in a clear meldoy and a boogie-woogie bassline between eruptions. Fewell’s “Universe” (“Because why leave anything out?,” he said by way of introduction) was the most “out” extended excursion of the evening. It began with the guitarist tapping his strings with a drum stick and his fingers, conjuring African balafon and kalimba with his muted tones. Each player was extremely sensitive to dynamics, fashioning atonal filligree around each other’s gestures, Burrell creating the loudest outbursts with the occasional heavy chord or stabbed single note. But more often than not, his figures drifted with bits of pedal sustain or harp-like arpeggeios. The piece ended with some big major chords from Burrell and some sighing figures from Fewell. The next, untitled, piece sometimes suggested a bit of Satie in Burrell’s chording, and sometimes a hint of Brahms’s Lullabye in fragments of melody. Fewell played his strings with a violin bow, conjuring a realm where African string music met a European viola da gamba on some polyphonic plane. The tango, though “slanted,” was a return to form. Between selections the two players talked about improvisation, “free” music, spirituality. Hazell joined them onstage to ask Burrell a couple of questions and Burrell talked about those early days on the Lower East Side, the 1969 Pan-African Festival in Algeria, and his encounter with a moose at his summer home in Sweden. A couple of times during the evening, Burrell and Fewell, talking about spirituality in the music, referred to Henry Threadgill’s comment in “Outside Music, Inside Voices,” was the “spiritual intent” of the music, whatever the personal beliefs of the artist or the audience. The form of the evening was in that intent. This entry was posted in Uncategorized on December 9, 2013 by jongarelick. 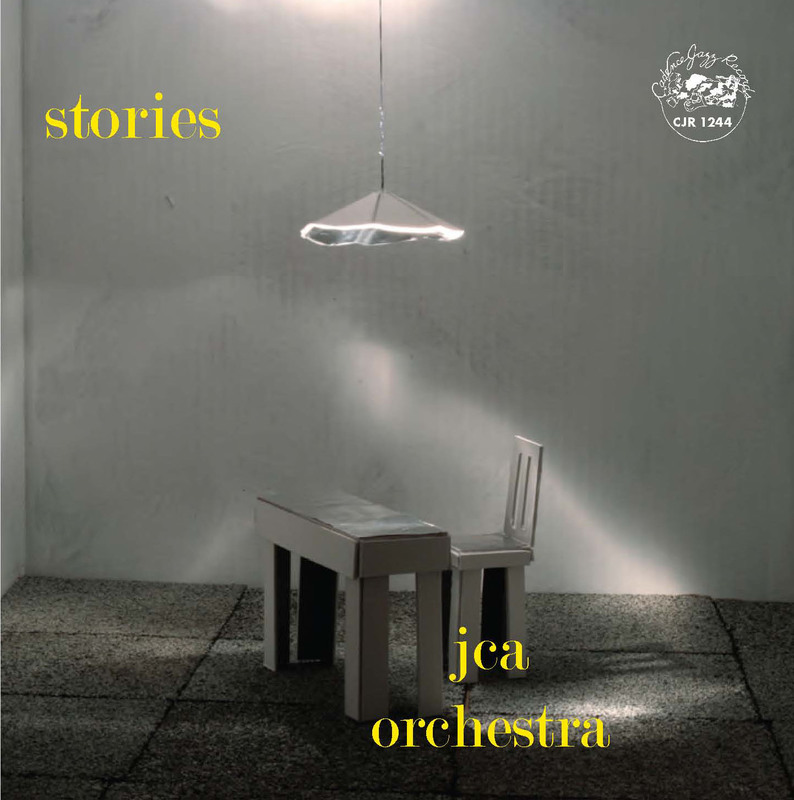 Boston’s Jazz Composers Alliance Orchestra here offers eight pieces with thematic narratives, some with words, some not…. This entry was posted in Uncategorized on October 25, 2013 by jongarelick. From my piece on Melissa Aldana in this morning’s Boston Globe. Master classes by visiting artists are not unusual at Berklee College of Music — this, after all, is a school that boasts a star-studded faculty and scores of distinguished alumni. But there was extra buzz a couple of weeks ago when the 24-year-old tenor saxophonist Melissa Aldana returned to her alma mater, offering an afternoon session in the school’s Cafe 939 Red Room. In September, Aldana had won the coveted annual Thelonious Monk International Jazz Saxophone Competition — the first woman to win in an instrumental category — and the master class, combined with an evening show at the venue, had the air of a victory lap. Aldana graduated from Berklee in 2009, but her connection to the school runs deep. Discovered in her hometown of Santiago, Chile, by Berklee faculty member Danilo Pérez, she has since moved to New York and recorded two CDs on Inner Circle, a label run by one of her former Berklee teachers, Greg Osby. Her prize includes not only a $25,000 scholarship to the Thelonious Monk Institute (based at UCLA) but also a recording contract with the Concord Music Group. 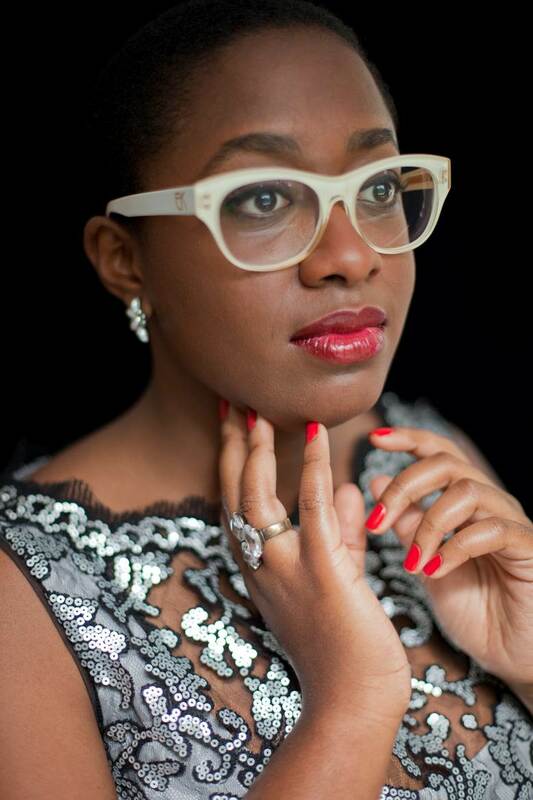 To the Berklee crowd, she’s a role model — as well as a potential employer.